Hot damn! Jennifer Klinec’s yeast-risen doughnuts (you know, the deep fried “Krispy Kreme style” diet destroyers) brought a tear of sheer gluttonous wonder to our eyes last time we met up with this phenomenal “new-school cooking” expert. Not one for the calorie counters, but a couple of these babies liberally drizzled with some homemade vanilla glaze and accompanied by a cup of freshly brewed coffee (we had some marvellously robust Kona coffee during our tasting) is as agreeable a treat as we’ve ever contemplated. What’s even more delectable about these morsels is having the knowledge to now make ‘em at home ourselves. Yep, Jennifer kindly shared the recipe with us. Enjoy. Light, fluffy and melt-in-your-mouth, these doughnuts are worth every calorie. 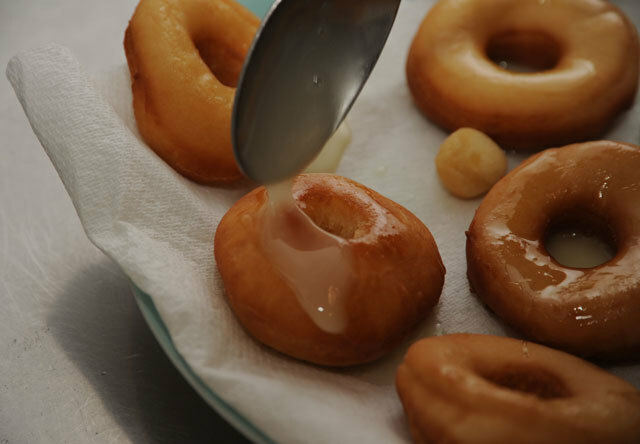 As with cake doughnuts, the yeast-risen doughnut dough is sticky and unruly. To help tame it - put it in the fridge for at least 3 hours which will make it easier to pat out and work with. Any unused dough can be stored in the fridge for up to 4 days and re-rolled. In a mixing bowl, combine the water and yeast and whisk until the yeast has dissolved. Leave to stand for 5 minutes and then stir in 130 grams of the flour. Cover the bowl with cling film and leave to rise in a warm place for an hour. In another large mixing bowl, cream together the butter and sugar until fluffy. Add the eggs one at a time beating well after each addition. Switch to a wooden spoon and add the salt and then the yeast-flour mixture. Stir well and then add the remaining flour in increments until the mixture comes together as a dough. 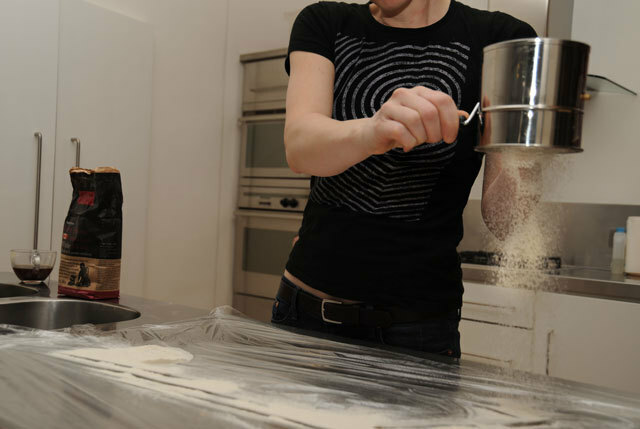 Remove the dough to a well-floured work surface and then transfer to a clean, oiled bowl. Tip the dough into the bowl and scatter with a little flour. Leave in a warm place to rise for an hour. Place the dough in the fridge and chill for at least 3 hours or overnight. Spread a few sheets of cling film across your work surface (this will save you hours in clean-up time). Sift a layer of flour across your work area. Working with half the dough at a time, place the dough on top of the flour and pat it down to a thickness of approximately 1/4 inch thick. Sift another layer of flour on top of your dough. 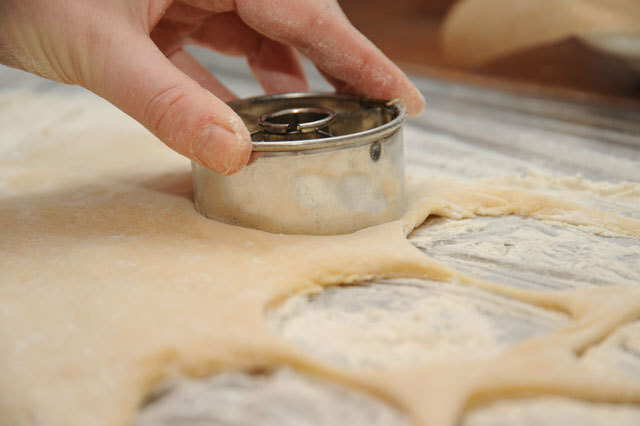 Using a teacup or doughnut-cutter, cut out small rounds from the dough, being sure to dip it in flour between cuttings. Place the doughnuts on a lightly floured tray and leave them to rise for 20-30 minutes until slightly puffed. Heat approximately 4 inches of oil in a deep saucepan to a temperature of approximately 190C. 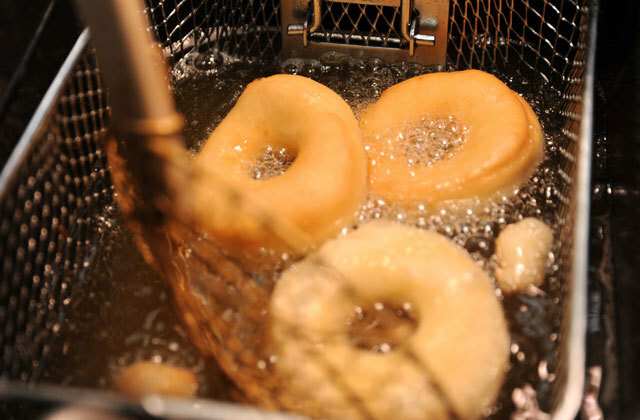 Fry the doughnuts in small batches without overcrowding for approximately a minute per side or until they are golden brown on all sides. Drain the doughnuts on kitchen roll. To make the glaze, combine place the sugar in a small bowl. Split the vanilla bean in half lengthwise and with the dull side of a knife; scrape along the cut side of each half to scrape out the seeds. 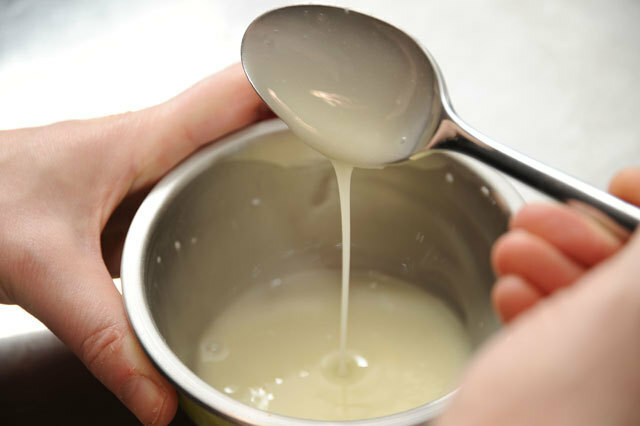 Add the vanilla seeds to the sugar and stir in the milk until you have a thick but slightly runny mixture. Spoon the glaze over the doughnuts allowing it to drip all down the sides. Eat while warm. 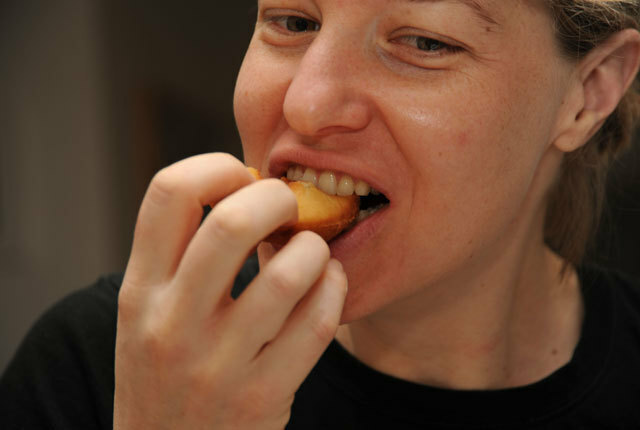 Find out more about Jennifer Klinec and learn how to live a more delicious life at http://www.eatdrinktalk.co.uk/.